Volvo V60 2.0 D4  Momentum Pro 5dr 2019 Review | What Car? What Car? will save you at least £3,306, but our approved dealers could save you even more. This adds a head-up display, keyless entry, a hands-free powered tailgate, adaptive LED headlights, a heated steering wheel, heated front seats and leather-faced upholstery to Momentum’s spec. The only engine available in the Cross Country is a 2.0-litre 187bhp diesel that’s connected to an eight-speed automatic gearbox and four-wheel drive. 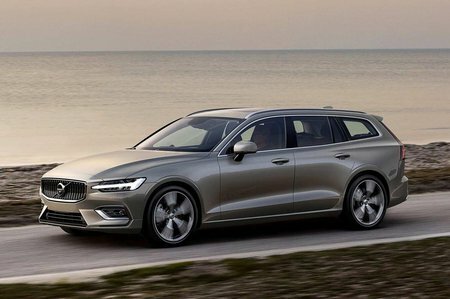 It’s our favourite engine in the regular V60 range, proving refined on the move, with plenty of power.